Attention: According to some countries vehicle may have difference design, we have unable to provide installation instruction. Professional install is always recommended for this AM/FM Power Antenna Conversion Kit. Direct replacement OEM (Original Equipment Manufacture) power antenna assembly kit. This Antenna is Designed to Provide Fully Automatic Antenna Operation, Whether The Radio and/or CB Unit Is Equipped With Or Without An Individual Power Antenna Lead. 13 Interchange Mounting Heads allow this Antenna to fit on Different Vehicles. Professional Install is always requested: Attention: According to some countries vehicle may have difference design, we have unable to provide installation instruction. 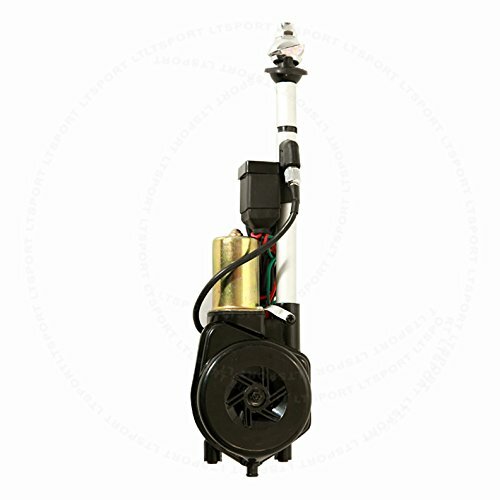 Professional install is always recommended for this AM/FM Power Antenna Conversion Kit.